Senior Benefit Services, Inc. GTL Advantage Plus Upgrade Now in Utah - Senior Benefit Services, Inc.
GTL’s Advantage Plus® Hospital Indemnity Insurance upgrade is now available in Utah! Choice of two coverage options of $100, $150, $200 per day for days 1-50 -OR- $120 per day for days 21-100. These great benefits are currently available in the states below. 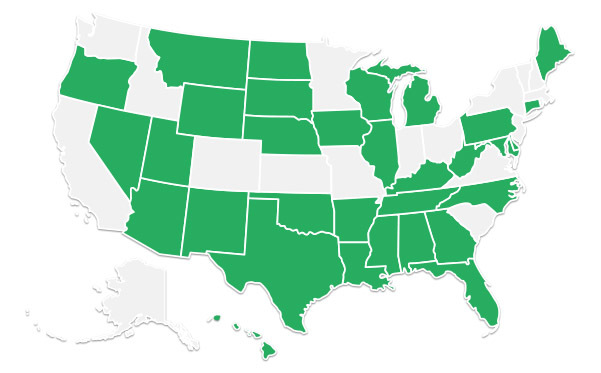 More states coming soon! FOR AGENT USE ONLY – Cannot be distributed to the public or used in any consumer solicitation. Advantage Plus®, hospital confinement indemnity benefits, Limited Benefit Policy, is issued on Form Series G0553, G1550 and Rider Form Series RG15CLS, RG15CLSR, RG15SDH, RG05SNF, RG13SNF, RG18ASB, RG07OPS(A), RG12DV, RG15CA, by Guarantee Trust Life Insurance Company. This product, its features, and riders are subject to state availability and may vary by state. Certain exclusions and limitations may apply. For cost and complete details of coverage, please refer to the outline of coverage.